Addressing base erosion and profit shifting is a key priority of governments around the globe. In 2013, OECD and G20 countries, working together on an equal footing, adopted a 15-point Action Plan to address BEPS. Beyond securing revenues by realigning taxation with economic activities and value creation, the OECD/G20 BEPS Project aims to create a single set of consensus-based international tax rules to address BEPS, and hence to protect tax bases while offering increased certainty and predictability to taxpayers. A key focus of this work is to eliminate double non-taxation. However in doing so, new rules should not result in double taxation, unwarranted compliance burdens or restrictions to legitimate cross-border activity. 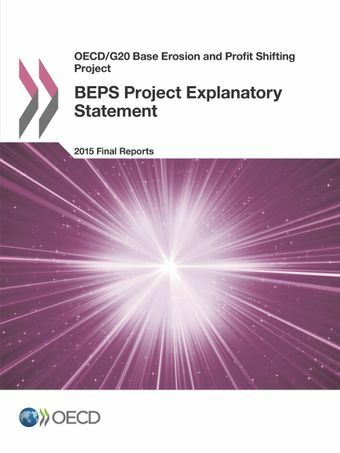 This Explanatory Statement offers an overview of the BEPS Project and outcomes.